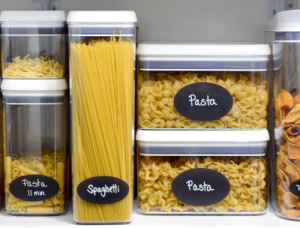 Welcome to Day 19 of my month long series “How to Organize Your Kitchen Frugally in 31 Days”. 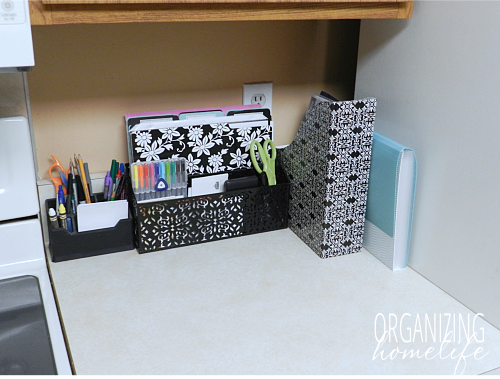 Every day during the month of October I will be sharing an organized space in my kitchen with you. 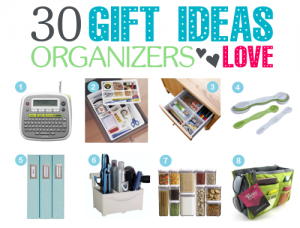 My goal is to inspire you and give you ideas on how you can organize your kitchen. This month we’ve been working through organizing our kitchen cupboards and many of the tools and gadgets we use regularly. 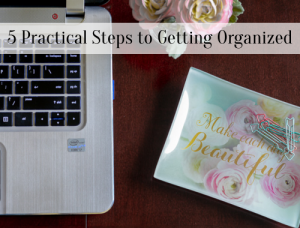 Today I’m going to show you how I created a command center right in the midst of it all. Why? Because preparing food and eating it is not the only thing we do in our kitchen. Papers, mail, and schedules come in and out of our kitchen on a daily basis. 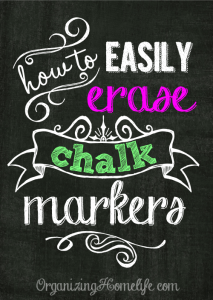 Taming the paper beast is a common problem that many of us struggle with. Our lives are so busy, we simply don’t have time to deal with the number of papers that barrage us from every angle. 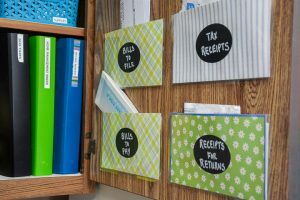 Since many families spend much of their time in or near their kitchens, it tends to be a dumping ground for all kinds of paper and miscellaneous stuff. 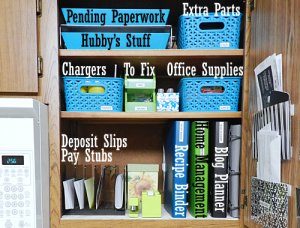 Early in 2012, after I created a mini command center on the counter next to my fridge, I was inspired by a fellow blogger who put her command center inside one of her cupboards. 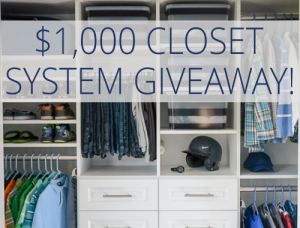 I thought the idea was excellent, but didn’t think I could come up with a cupboard to make space for it. But, give me a challenge, and I’m going to give it a shot! There is so much to cover in this command center that I decided to break it down into two posts. Today I’ll be showing you the mail and message area on the counter. Originally I kept my baking supplies and spices in this cupboard, but since this was the area that papers and junk tended to collect, I knew this cupboard would be the best spot. So how did I make space? I looked at my cupboards and decided what we could eliminate to gain more space. The cupboard that now stores my spices, used to be the snack foods cupboard. It wasn’t too hard to see that I was using an entire cupboard for snacks which we really didn’t need. So, I moved them to a smaller cupboard which would force me to buy less, and moved my spices and oils to the old snack cupboard. I made space in my pantry for the baking supplies, and voila! I had a cupboard ready to use for a command center. I have to tell you that after using it for a year and a half, I would do it all over again in a heartbeat if I had to. It has worked SO well! One habit I developed years ago that works wonders against paper clutter is to sort the mail immediately after bringing it in from the mailbox. This pile of mail took me about a minute and a half to sort. Why? 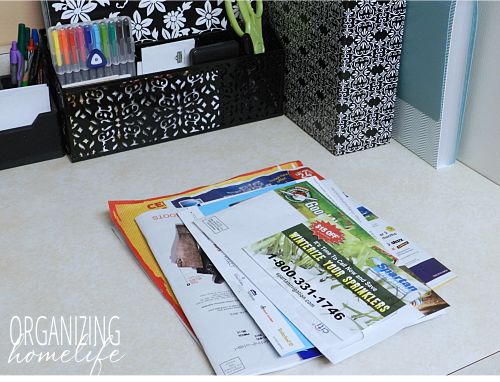 Because everything that comes in the mail has a place to belong either in my command center or the trash can ;)! First, I pull out the junk mail and get rid of it. Second, I take the bills that need to be paid and put them in the “bills to pay” pocket on the inside of my cupboard door. 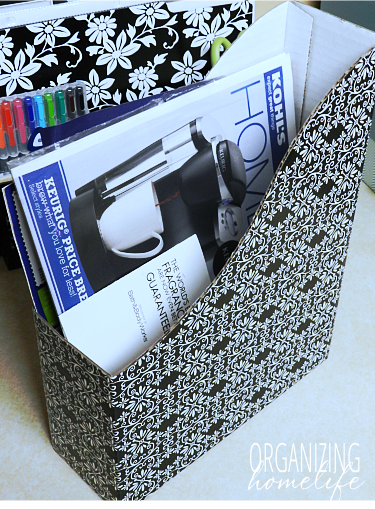 See how I made the pockets with scrapbook paper here. Third, I take any store ads or coupons that I may want to use and put them in the magazine file. I found these cute files in the dollar section at Target. Store ads and coupons are THE ONLY things I put in this file. At the end of the week, I can easily take out and get rid of coupons and ads I didn’t use. If I’m going to the store and want to see what’s on sale or use a coupon that was mailed to me, I know just where to find it. 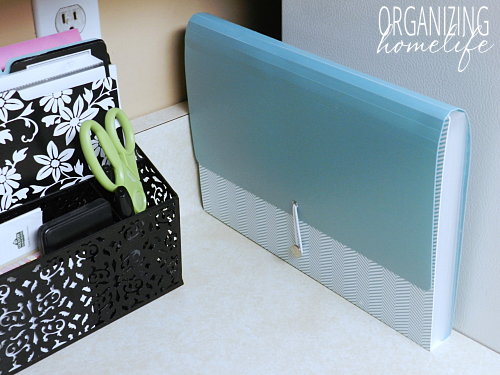 I keep my bill pay file here because I don’t have my own office and typically pay bills on my laptop. On bill paying days, I simply pull the bills out of the “bills to pay” pocket on the door, and either file them directly into my file if they are regular bills, or I put them in the “to file” pocket on the door if they are a one time only type of bill. Then, when I have more time, I can grab the “to file” pocket and file the papers in my filing cabinet. If you haven’t seen my bill pay schedule, you may want to check it out here. 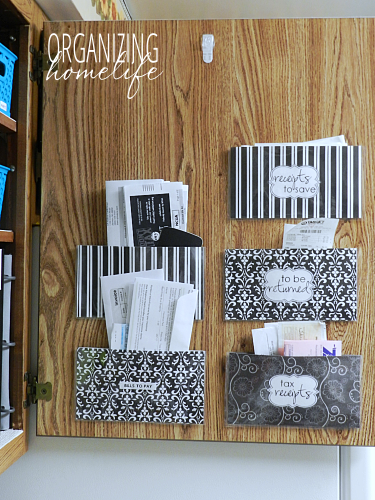 It is a lifesaver for keeping track of bills! I also keep pens, pencils, note papers, a calculator, sharpie markers, and my “mom only” scissors in this space. I have some pretty file folders in the file sorter. I also keep my dry erase crayons in the front of the pen organizer so I can easily label my leftovers before I put them in the fridge. Tomorrow I’ll show you all the other things I keep in my command center and how it is simple to keep it neat. 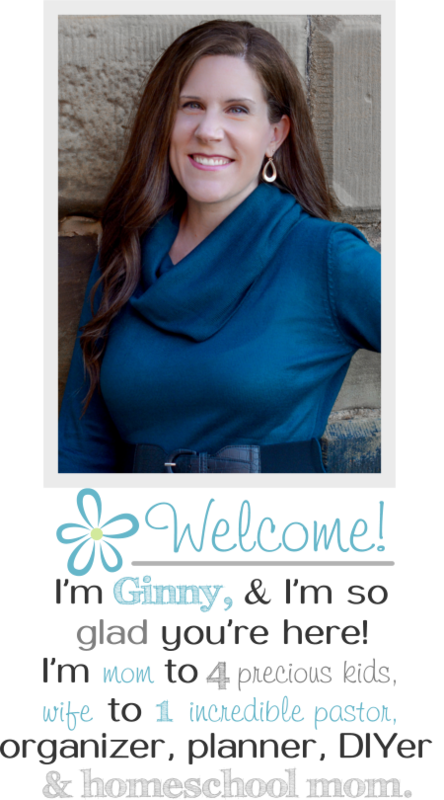 Oh, we suffer from surface-itis in our home, so I can relate! I think a command center would be great for us. Hmmm…off to finish my spice cabinet, then evaluate a good spot for the command center. Thanks! Ah! Love this! I’m a new follower as of a few weeks ago, and you’ve been such a blessing to me. I’m in the throws of decluttering and reorganising our house and I set up an organisation station with my hutch dresser. I am definitely going to use some of your ideas, especially the bill paying pockets – can’t wait for that post! Thank you! Thank you for sharing this!! I have been eagerly awaiting this post, and I am sooo excited to see how I can use your ideas to help me gain control of this messy section of my counter. Great tips!! I’m glad you’re inspired, Sinead! Don’t get envious – just inspired! 🙂 I’d love to know if you were able to set up a command center in your kitchen! I love how you took a small space and made it so efficient. Going through incoming mail is so much easier when you have places to put the things you need to hang on to! I just discovered your website and I am looking foward to checking out all of the different ideas. I am starting with the home binder and working my way through that. I have 3 things in my kitchen that I want to work on. First I definitely want to create a command/message center. I have pub table on the other end of kitchen where computer o rinter sits and it becomes our catch-all. This would be a perfect place with plenty of space. After seeing yesterdays post I really like your kitchen/recipe binder. I have a binder already but nothing like yours. And the last most dreaded project would be my storage cabinets for serving bowls and other whatnots. I hope that I can successfully conquer these tasks. I love the idea of a command center I so need this. I moved my paper cabinet to a smaller one because thought it would help me to not collect so much I was wrong. I love your boxes in the cabinet I was wondering if you found them online or a dollar store. Also how do make the envelopes to put mail and receipts, on the inside of the cabinet door. Thanks for all the great inspiration. I love this idea and want to do this in my kitchen. Where did you find all the containers, baskets etc? 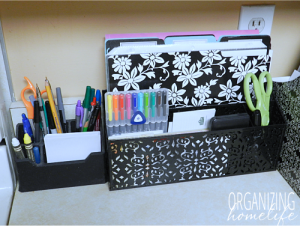 I really love the black organizer on your counter for the files and other misc. items. Thank you for sharing your wonderful ideas! Love this post… where is part 2, though? Where did you get the file sorter/holder that us sitting on the counter? I love that!